We were just beginning to emerge from that initial culture shock all experience when setting up house in a new country. We’d only been in India for a couple of weeks, and everything was so different to the way things were done in Australia. Georgine having lived in Hungary and Germany before immigrating to Australia was taking it all in her stride and all her energies were concentrated on putting her stamp on our assigned bungalow. Our Indian workmates and neighbors were warm and nurturing and we felt well accepted even though things were so different to what we were accustomed to. Every day on schedule a Walla’s wailing words wafted over Salisbury Park Estate, Pune and they began to burn themselves into my subconscious. I’d not the faintest idea what these words meant for sometime, but subconsciously I’d find my lips moving in time with the Walla’s words as the chant continued. I seemed to be powerless to prevent this happening. “Pao, Pao Roti, Pao.” On and on it droned as Rama the Roti Walla worked his way around houses of the estate. What was it all about? Soon after our arrival I decided it was time for us to begin making sense of the language so we could begin to understand what was happening around us and be more useful in our work. A language pundit was engaged to teach us, and we began the long and tedious job of trying to understand previously unintelligible sounds, and learn to make sense out of dashes, dots and curls peculiar to Hindi script. I made my first remarkable discovery soon after purchasing a Hindi English textbook. ‘Roti’ meant bread! This set off a trigger reaction and my lips began to move to the chant “Pao, Pao Roti, Pao”. I looked forward to making the next discovery as this would help me identify the phrase, and unlock the mystery of Rama’s business on our estate. Then I found it! `Pao’ was a human foot! Foot bread! That didn’t sound right at all, so I headed for the pundit’s house to have him solve the mystery for me. But the interpretation was right. The pundit explained that in former times dough was kneaded by people treading it, just as grapes are pressed by foot in some rural areas of Europe today. Having seen Rama’s feet I lost my appetite for bread! It was little comfort for me to know the wailing chant was just a carry over from a distant past, and bread was now baked using modern methods and hygienic conditions. The chant now revolted me and turned me away from a very nourishing staple food for a few weeks until I got used to the idea and was fully satisfied Rama was not treading his bread. Now, several years later and far removed from that experience, I can look at that situation with good humor. Unreasonable and foolish fear kept me away from a necessary food item until common sense eventually prevailed. My dictionary defines prejudice as a preconceived opinion or bias against a person or thing. Usually prejudice is motivated by fear or ignorance and it can generate hurt or at least misunderstanding in turn. Fortunately Indian friends found our cultural misunderstandings amusing, and continued to nurture us until we were mature enough to understand things better and make our contribution to that society. I’m glad they did. LOL Foot bread. I like your definition of prejudice, Ian. Yes, under the pride is really the fear or ignorance. You’re welcome. Yes bread is a temptation, specially the home baked bread. It is still not illegal to make your own apple cider and pear perry, without preservatives!. Mine turns out well although rather higher in alcoholic content than the commercially available. Just as the alcohol probably acts as a disinfectant so the oven’s heat probably ensures that the bread isn’t harmful. Now untreated water is something else which we have to watch when in foreign parts. It has got me several times! Thanks Jane. Different cultures are always interesting, and sometimes a challenge. I remember learning that one while lunching with friends in Singapore, they loved disturbing my meals knowing I was a bit squeamish. You are so right, especially for Westerners traveling we do carry with us our notions and it prevents us sometimes from enjoying the flavors food and otherwise of where we travel too. I have come to the conclusion that we in the west have been so careful about sanitizing everything that we have weakened our capacity to develop our immune system. True, we also have become rather squeamish. I still have true issues about ‘family’ dinning even with my own family. Thank you Edith. I’m humbled to have such a well seasoned English teacher read my blogs and comment. What a lovely, and thought-provoking story. Thank you. My Hindi teacher identified pau as foot when we were learning the parts of the body in Hindi and that was the word in my reader too. You are right though, over the years and probably because of the ancient practice of kneading the bread with the feet there were times when the Walla just called pau, pau roti, pau. Of course that process is not used with chappatis. I just read where the word roti is actually Arabic origin. 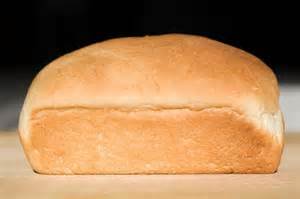 Yours was an interesting article and curious that pav means bread in Portuguese. Maybe there’s a double connection? I know the Portuguese named Bombay which I’m informed means good or beautiful bay. There are some who claim though that the English used Bombay as a corruption of Mumbai which it now is, and Poona rather than Pune as it now is, and Calcutta as a corruption of its real name too. Slowly India is getting the names back to normal. lol. The word ‘roti’ as you know, found its way into the Malay language here. And it’s interesting how words develop – the European ships when putting to port, seamen would yell “Go astern! Go astern!” to lash ropes. This morphed into the Malay word – gostan – colloquial Malay meaning, go to the back. Of course, now we say things like ‘xerox’ and ‘google’. You’re right – I agree that we’re too hygienic for our own good and processed food from big business is slowly killing us due to the long term consumption of additives. Firstly I would again congratulate on the successful launch of your book through Amazon. wonderful achievement!. The word roti apparently found its way into the sub-continent from Arabia. No doubt through the Persian invasions by the Moguls and the influence on them in turn by the Moslem religion which originated in Arabia. English is riddled with words originating from Asia, no doubt through the colonial incursions there. The charm diminishes when one pictures actual feet involved, I suppose by the time it is baked it is just regular bread. But that’s the joy of traveling, celebrating the differences. We learned to eat flat bread chappatis in villages which were prepared by hand with the occasional pause to put another dried cow dung patty on the embers with the same hand. Perhaps it was good in developing the natural body responses. We are too careful in the West. Yes, the regulations are all geared to large corporate situations, not small farmers here in the US. For 20 years we bought fresh unpasteurized apple cider from a local farmer – and then they made it against the law. Now can’t get it unless it’s processed. We are being systematically poisoned in our supermarkets.